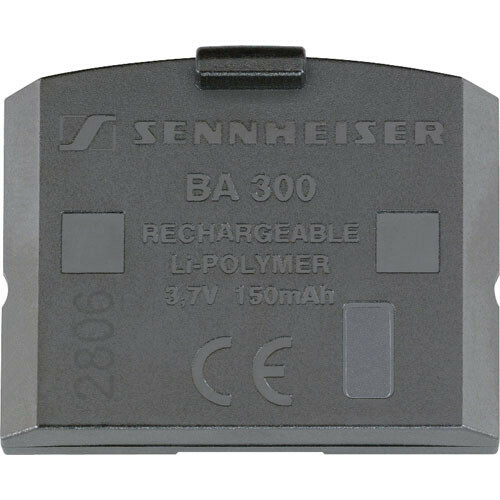 The BA300 from Sennheiser is a rechargeable lithium-ion battery designed for use with the RI410 receiver. It provides up to 16 hours of operation on a full charge. Box Dimensions (LxWxH) 5.7 x 4.8 x 0.65"
BA300 - Rechargeable Lithium-Ion Battery for RI410 is rated 5.0 out of 5 by 2. Rated 5 out of 5 by Anonymous from real product info Original battery was over 5 yrs old and would not hlod a charge. Website showed exactly what I needed to place an order. Correct item arrived immediately. Rated 5 out of 5 by Anonymous from Arrived soon As always arrived soon.